Even if you only have a few days to spend on Maui, finding the time to spend a day in Lahaina could be one of the best decisions you make! This “small” town is teeming with history and culture — and the views aren’t half-bad either! 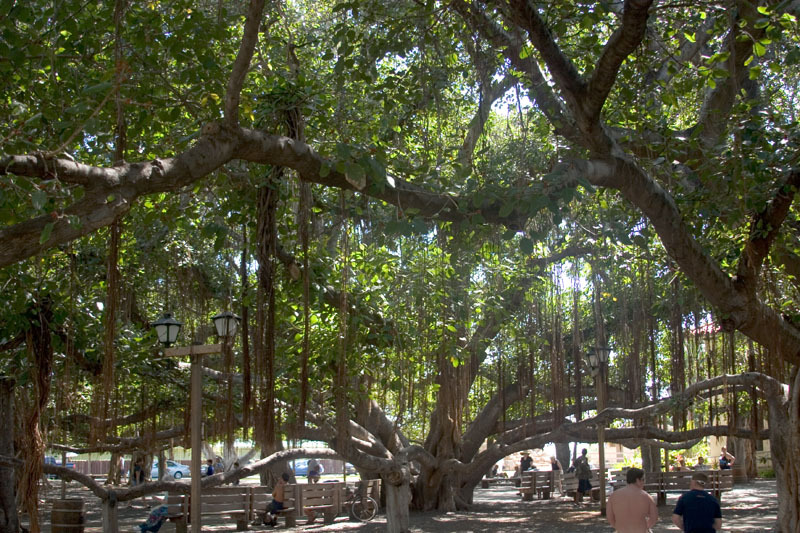 Lahaina Banyan Tree: Located right on Lahaina’s Front Street you will find the incredible Lahaina Banyan Tree. The Banyan Tree is a must see with it covering over 2/3 of an acre with a dozen main trunks. According to AfterGlobe.net, the Banyan Tree was originally brought to Maui from India and planted in 1873, 140 years ago, by the town sheriff to commemorate the 50th anniversary of the first missionaries to Hawaii. At the time, it stood 8 ft. tall. Today, it has grown to 60 ft and has become one of the largest Indian Banyan Trees in the world. Hale Paahao: On July 11, 1851, an act was passed by the Hawaiian Legislature and approved by King Kamehameha III to build a new jail for Lahaina, according to AfterGlobe.net. The prison, Hale Paahao (meaning stuck in stones), was completed in 1852 by convicted labors out of black coral bricks and can still be found today on Prison Street. During its heyday it housed rowdy sailors who failed to return to their ships at sundown. Lahaina Fort: AfterGlobe.net reports that the coral bricks used to build the prison came from the old fort along Lahaina’s waterfront that was built in one month’s time to protect the town from whalers. The fort was constructed from coral blocks with walls approximately 15-20 feet high topped with 47 cannons. Due to damage and neglect, Lahaina Fort was demolished in 1854. In 1964, the State Parks Department rebuilt part of the old fort walls that can still be visited today. Planted more than 140 years ago, the Lahaina Banyan Tree has become a local icon. Hale Kahiko: Round-out your morning with a visit to Hale Kahiko, a traditional Hawaiian village. According to AfterGlobe.net, the site is located behind the Hard Rock Cafe and contains three thatched roof houses, which offer an insightful glimpse into Hawaiian life before missionaries and their Western developments swept through the land. The village is open to the public, 7 days a week, until sundown. After a morning of visiting some of the area’s historic places, take a moment to enjoy a relaxing lunch along the Lahaia waterfront. The Lahaina Grill, Kimo’s, and Mala Ocean Tavern are just a few of the many oceanfront eateries in Lahaina, Maui that offer authentic Hawaii cuisine with a spectacular view. After lunch, make sure you save room for shave ice — Ululani’s is a favorite! After lunch is a great time to head to the some of the area’s fantastic museums. Depending on how much time you want to spend indoors, you may want to limit your museum visit to just one. But, ultimately, it’s up to you. Choose from the Baldwin Home Museum (a 19th century home), the Wo Hing Temple Museum (Chinese history and artifacts), or the Lahaina Restoration Foundation (Lahaina history and artifacts). Front Street is my favorite place in Lahaina for great shopping. You’ll find anything and everything you need, plus souvenirs to take home — and, it’s all contained in an outdoor mall setting. This is a great place to find unique T-shirts for the loved ones left behind! You’ll also find lots of places to stop for a mid-day snack. Once a whaling town, Lahaina has transformed to one of Hawaii's most vibrant sites for whale watching. Lahaina used to be one of the world’s great whaling villages, and, now it’s one of the world’s premier sites for whale watching. 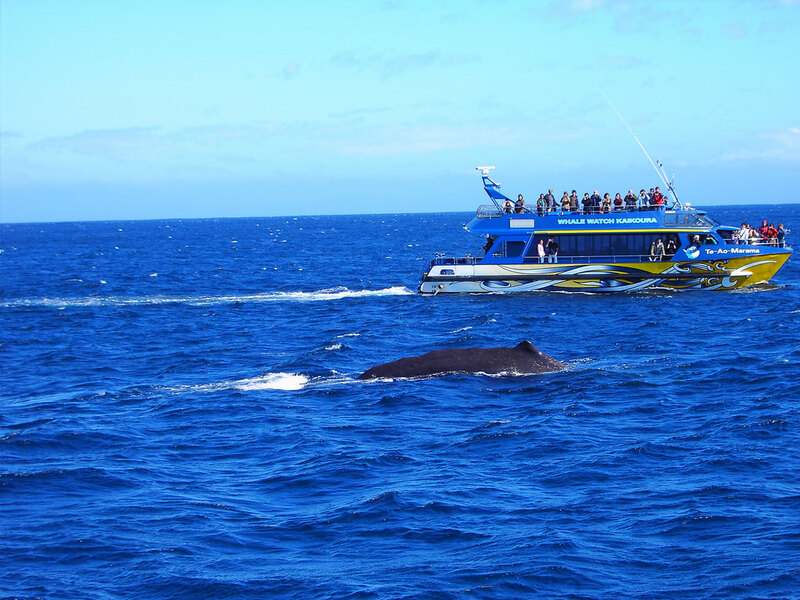 If it’s whale season, make sure you book a whale watching tour, so you can view these amazing animals up close. If you’re in Lahaina, Maui outside of whale season, consider taking a sunset sail out of Lahaina harbor. You won’t soon forget the experience of sailing into the Maui sunset. If you’re in the mood for fine dining after your day on the ocean, check-out Gerard’s, Merriman’s Maui, or Leilani’s on the Beach. A beautiful dinner is a great way to round-out a spectacular day in this incredible town. If you only have a day in Lahaina, Maui, no matter! You can still fill it with plenty of culture, fun, and food. So, put Lahaina on your Maui itinerary, and enjoy this extraordinary town!